Having both had a long-time Interest in space, Glenn Sterenborg and I sent a high-definition camera to take a picture of the limb and curvature of the Earth. 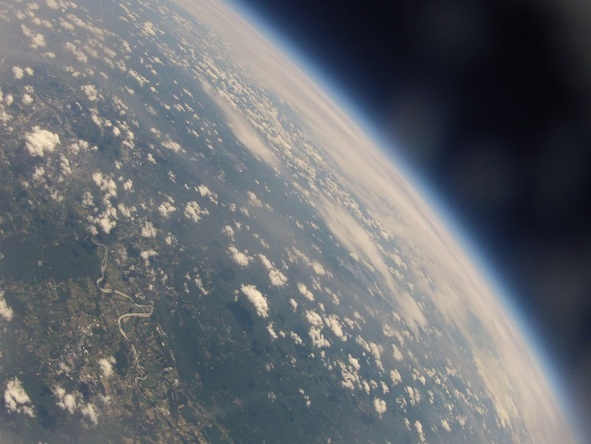 In addition to the camera, we used an Arduino microcontroller to record measurements from pressure, temperature, gravity and magnetic field sensors mounted below a weather balloon. We used a SPOT GPS to locate the position of the balloon and payload every 10 minutes. 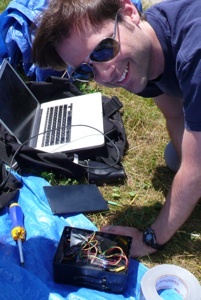 Launched from near North Adams in westernMassachusetts the balloon ascended to an altitude of around 30 km (100 000 ft) as determined by our pressure sensor. The camera (a GoPro HD) took pictures every 30 seconds for the duration of the flight. 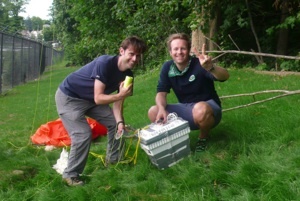 After a 3 hour flight and ground chase, we found the payload and parachute in a tree near Worcester, MA where we retrieved the images and data.